Ösmo Vänskä leads the National Symphony Orchestra. Conductor Ösmo Vänskä in action. The 2013-2014 season has offered few opportunities for East Coast listeners to hear Finnish conductor Ösmo Vänskä work his magic with the symphonies of his countryman Jean Sibelius. On Saturday evening, one of those opportunities presented itself as Mr. Vänskä led the National Symphony Orchestra in the second of two subscription concerts at the Kennedy Center in Washington, DC. A pianist in motion: Marc-André Hamelin. Photo by Sim Cannety Clarke © 2014 Hemsing Associates. 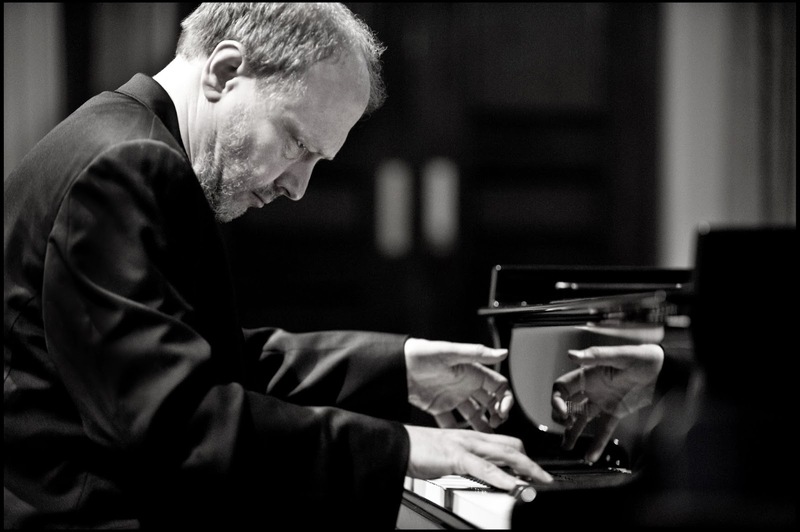 Among piano virtuosos, Marc-André Hamelin stands apart. The Canadian pianist and composer is known for his relentless exploration of the most challenging repertory of the instrument, bringing "lost" composers from the 19th century back into the public eye. In New York to make his first subscription appearances with the New York Philharmonic, Mr. Hamelin graciously agreed to an interview while hurtling through the steel canyons of Manhattan in the back of a taxi. In these concerts, he is playing Cesar Franck's Symphonic Variations for Piano and Orchestra a work that used to be frequently heard but is now regarded as an antique. Don Giovanni at Opera Philadelphia. 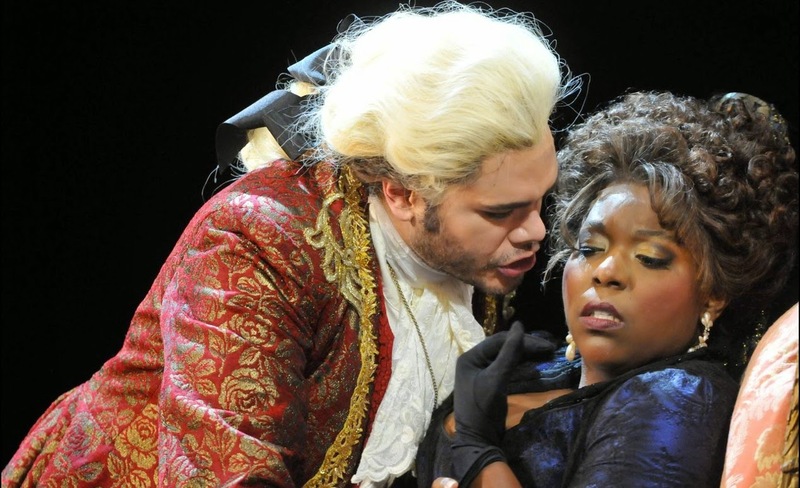 in Opera Philadelphia's new production of Don Giovanni. Photo by Kelly and Massa © 2014 Opera Philadelphia. There a lot of ways for directors to interpret Don Giovanni, the Mozart dramma giocoso that walks the line between comedy and tragedy. In telling the story of the libertine Spanish nobleman determined to bed every woman in Europe, director Nicholas Muni has reversed the usual method. Instead of showing the Don (Elliot Madore) as a frustrated, always-thwarted Lothario, Mr. Muni made him insatiable. In doing so, he attempted to show the Don as ultimately tragic, an ugly, insecure character who is ultimately a victim of his own "success" and his own at-large libido. This production, originally seen at the Cincinnati Opera, bowed at the Academy of Music on Friday night. Jan Lisiecki plays Mozart in Philadelphia. Photo by Jessica Griffin © 2014 The Philadelphia Orchestra. Everyone (well, almost everyone) likes Mozart. That's the rationale behind the Philadelphia Orchestra's three-concert mini-festival by the at Verizon Hall, A Mozart Celebration. On Friday afternoon, music director Yannick Nézet-Séguin led the second of these performances, featuring a traditional concert format: opera overture, piano concerto and one of the late Mozart symphonies.. On display: the sparkle and clarity of this famous orchestra and the prodigal ability of pianist Jan Lisiecki. The New York Philharmonic plays Franck, Prokofiev and Julian Anderson. 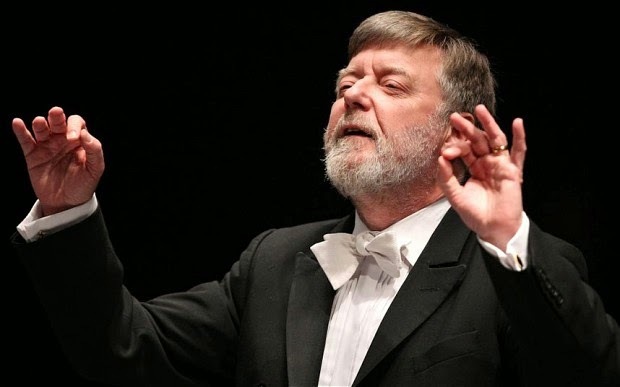 Conductor Sir Andrew Davis led the New York Philharmonic this week. Image © 2013 Glyndebourne Opera Festival. 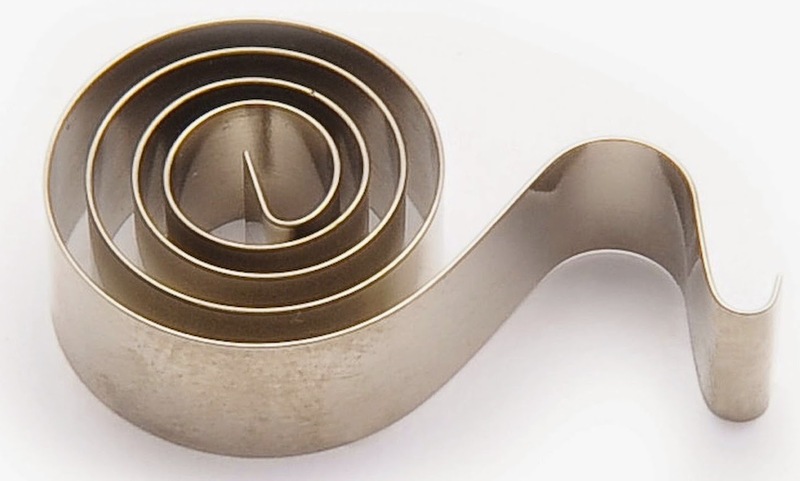 The standard, stolid format of the modern symphony concert (an opening piece, a concerto and a symphony) was established some time in the 19th century. This week's subscription series at the New York Philharmonic, conducted by Sir Andrew Davis and featuring Canadian pianist Marc-Andre Hamelin followed that format, but drew its works from three very different historic eras. The Minnesota Orchestra re-hires Osmo Vänskä. Osmo Vänskä has returned to the Minnesota Orchestra. Photo from MinnesotaOrchestraMusicians.org © 2014 The Minnesota Orchestra. Sometimes an acrimonious labor dispute can have a happy ending. 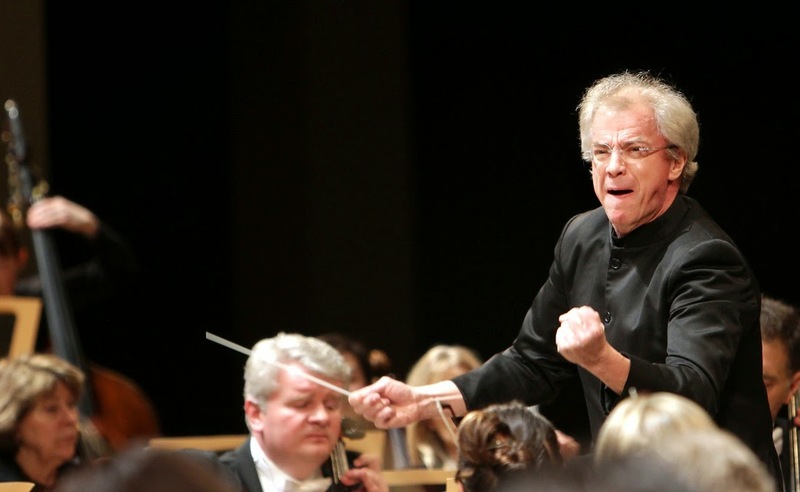 The Minnesota Orchesta has re-hired its music director Osmo Vänskä, six months after the conductor quit his post in protest. 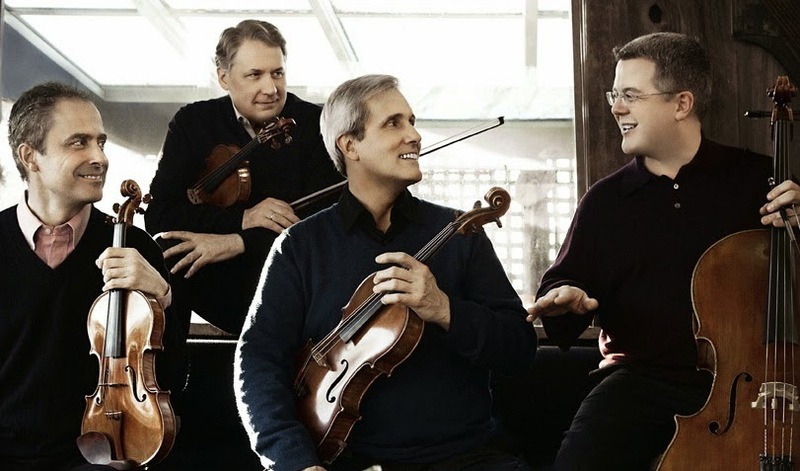 The Emerson String Quartet plays Britten and Shostakovich. Philip Setzer) welcome cellist Paul Watkins. Photo courtesy the Emerson String Quartet. The average classical music lover is wary of anything written in the last century. However, Wednesday night's concert at Alice Tully Hall by the Emerson String Quartet featured three late works by two composers who survived into this unlikely decade: Dmitri Shostakovich and Benjamin Britten. The program explored the connection between the two composers, who were on friendly terms, with Shostakovich even visiting Britten's home base of Aldeburgh while on a rare visit to England. Dmitri Tcherniakov takes on The Legend of the Invisible City of Kitezh and the Maiden Fevroniya at De Nederlandse Opera. City of Kitezh and the Maiden Fevroniya. Sometimes a bold director can breathe fresh life into a forgotten masterpiece. That is the case with this 2013 Blu-Ray of The Legend of the Invisible City of Kitezh and the Maiden Fevroniya, staged in 2012 by De Nederlandse Opera (in cooperation with the Teatro de Liceu in Barcelona) and filtered through the artistic sensibilities and political message of Dmitri Tcherniakov. This Russian director whose recent Prince Igor at the Met thrilled New York this season, has mounted Rimsky-Korsakov's penultimate opera in a bleak, pessimistic production. Mounted at the Amsterdam Music Center and released on home video by OpusArte, this disc should do much to increase the reputation and frequency of performance of this challenging but thoroughly rewarding work. Joyce DiDonato is the Met's radiant Cenerentola. in Rossini's La Cenerentola. Photo by Ken Howard © 2014 The Metropolitan Opera. Last night, the Metropolitan Opera rolled out its twenty-sixth and final revival of the 2013-14 season, a revival of the company's 1997 production of Rossini's La Cenerentola.. There are no glass slippers in this version of the fairy tale (Roman censors in 1817 were prudish about bare feet) but there was plenty of vocal magic in the air. The 1971 Reginald Goodall Parsifal. 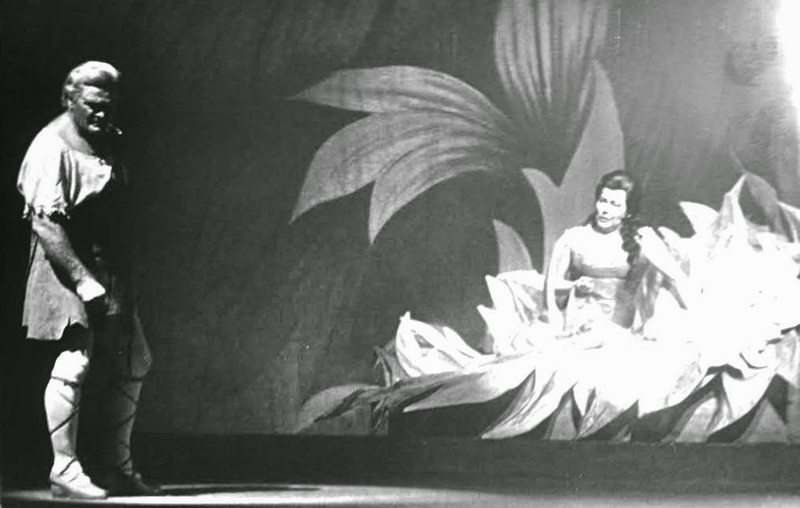 Nobody's fool: Jon Vickers (left) and Amy Shuard in Act II of Parsifal. Photo from ROH Archives © 1971 Royal Opera House of Covent Garden. Photo from cover of Parsifal © 2008 Medici Classics. Richard Wagner's Parsifal is unlike any other opera The slow pace, lack of action and meditative musings on suffering and self-denial can tax the patience of the most ardent fan of this composer. Those who prefer this work's majestic intervals and muted, almost impressionistic chords to unfold at a slow but considered pace should investigate this 2008 release from the BBC Legends series on Medici Classics. Drawn from a single performance (May 18, 1971 at Covent Garden and first broadcast on the BBC) this recording features Sir Reginald Goodall's legendary interpretation of Wagner's last opera, and it's every bit as magnificent and magisterial as one would hope. The Complete Aspen Music Festival and School (abridged) at Subculture. Star, wood in Aspen. 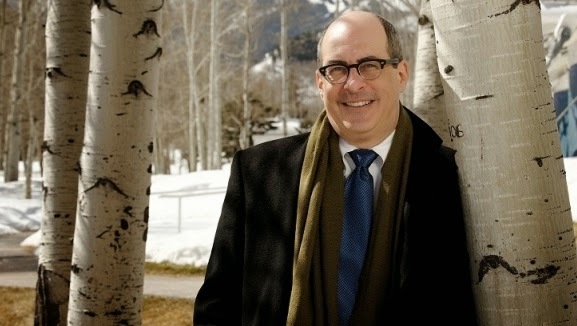 Conductor Robert Spano in the Rockies. Photo by Michael Brands © 2013 Aspen Music Festival. It is no mean feat to pack the entire intent and purpose of a major summer music and educational festival into an entertaining four-part program lasting just two hours, but that was the feat attempted Wednesday night as The Complete Aspen Music Festival (Abridged) arrived at Subculture. With its intimate atmosphere, barrel-arched ceiling and warm vibe, this funky downtown downstairs performing arts space was an ideal venue for this concert, which combined Romantic and modern chamber music with a short masterclass given by former Metropolitan Opera star (and current professor at Bard College) Dawn Upshaw. Stressing the importance of music and education, the 65-year old Aspen Festival showed itself at its very best as one of this country's most important breeding grounds for young musicians. The Met looks to its future with this revival of I Puritani. 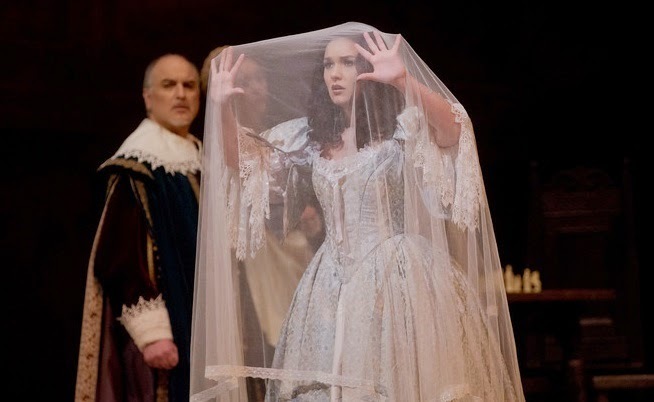 Veil song: Olga Peretyatko sings the Mad Scene from I Puritani as Michele Pertusi looks on. Eight years ago, the Metropolitan Opera assured its own future for the next decade with a revival of I Puritani that made Russian soprano Anna Netrebko an overnight sensation. On Thursday night, the Met used the same vehicle to launch the career of another Russian soprano. Like her famous compatriot, Olga Peretyatko is a smoldering, dark-eyed beauty. At the season premiere of this faded but still serviceable production of Bellini's final opera, the younger singer proved that lightning can, given the correct conditions, strike twice. 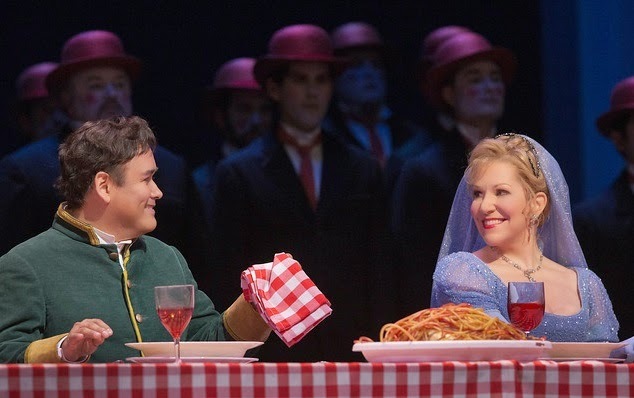 Joyce Di Donato's dreams come true in Rossini's fairy tale. All photographic elements s by Ken Howard and Marty Sohl © 2014 The Metropolitan Opera. All photo editing by the author. The last production to premiere at the Metropolitan Opera this season also has one of the most appealing casts. 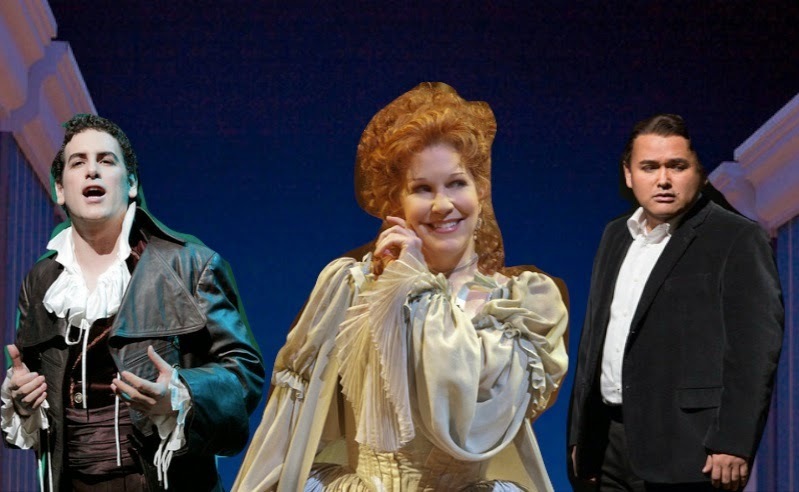 Joyce DiDonato's Cinderella will be wooed by not one but two charming tenor Princes. Opera company seeks to bar reporters from contract talks. 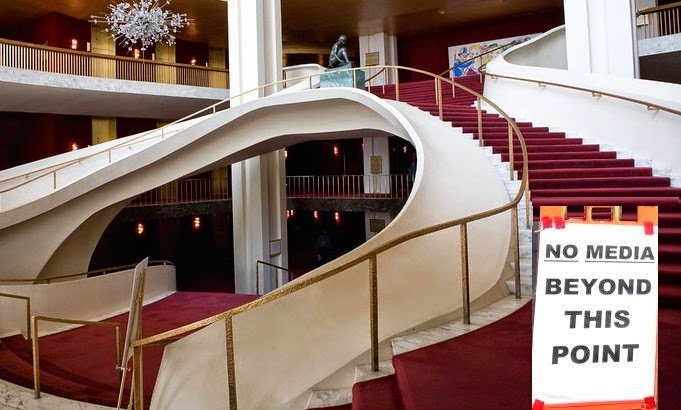 The empty stairs of the Metropolitan Opera lobby make an eloquent statement. Photo by Jonathan Tichler © 2013 The Metropolitan Opera. Sign added by the author. The impending negotiations between the Metropolitan Opera and the heads of its various unions is scheduled to start May 5, five days before the close of the company’s current season. However, if Metropolitan Opera general manager Peter Gelb has his way, the local New York press (including the New York Times and the Wall Street Journal will not be allowed to attend the sensitive talks. Acclaimed Carnegie Hall festival starts its final run next month. Spring for Music returns to Carnegie Hall next month. May 5-10 at Carnegie Hall marks the curtain call for Spring For Music. For the past three years, the festival has packed Carnegie with enthusiastic, bandana-waving orchestra supporters from across North America, celebrating the appearance of their local ensembles boldly tackling obscure and sometimes new repertory. The low, subsidized ticket prices (all seats are just $25) have also attracted the budget-minded concert-goer and those curious about 20th and 21st century music. Unfortunately, 2014 will be the festival's last bandana-waving dance. A new generation takes on the bel canto classic. 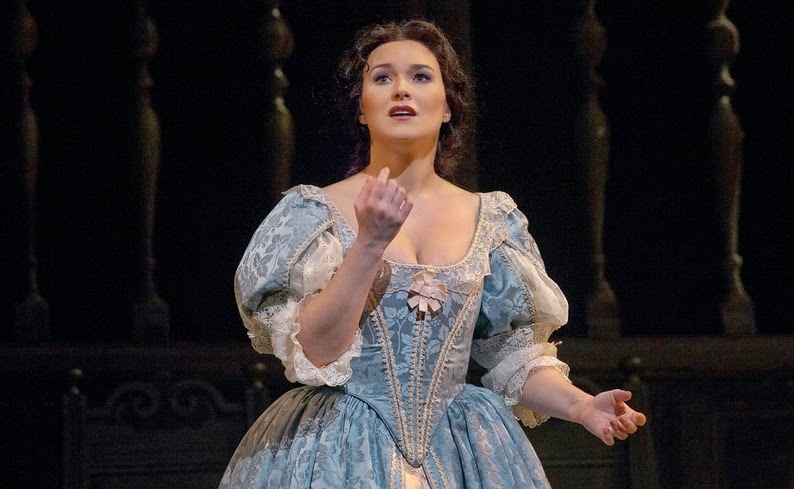 Her heart's on fire for Elvira: Olga Peretyatko in I Puritani. This is Bellini's last opera. He died at the age of 33, just nine months after the premiere, but not before he wrote some of his most beautiful tunes, with sky-scraping roles for soprano and primo tenore. Here, the lovers Elvira and Arturo are played by soprano Olga Peretyatko (in her Met debut) and tenor Lawrence Brownlee. Dashing baritone Mariusz Kwiecien and bass Michele Pertusi appear in key supporting roles. 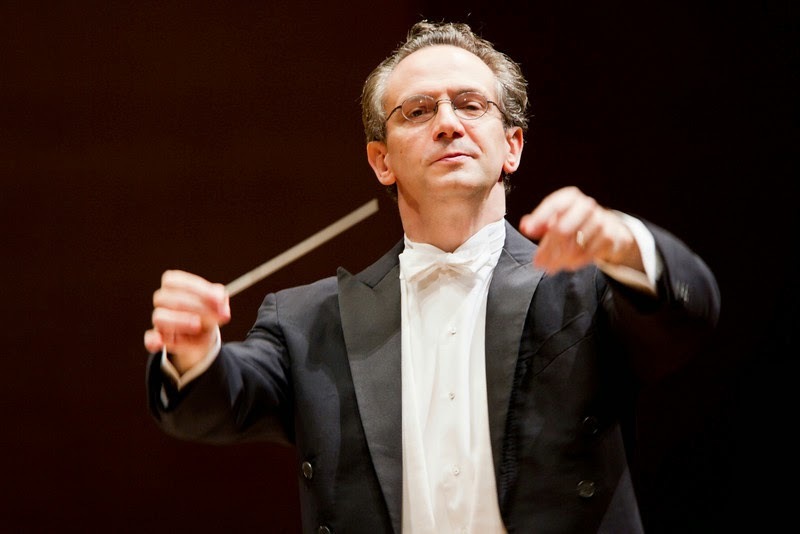 Fabio Luisi conducts the Munich Philharmonic. Stepping in: Fabio Luisi was a late replacement at Saturday's Carnegie Hall concert. Photo by Koich Miura © 2011 The Metropolitan Opera. On Saturday night at Carnegie Hall, the Munich Philharmonic Orchestra played the second of two concert programs featuring the music of its hometown hero Richard Strauss. Strauss hits the milestone 150th birthday this year, motivating touring orchestras to program his orchestral extravaganzas. 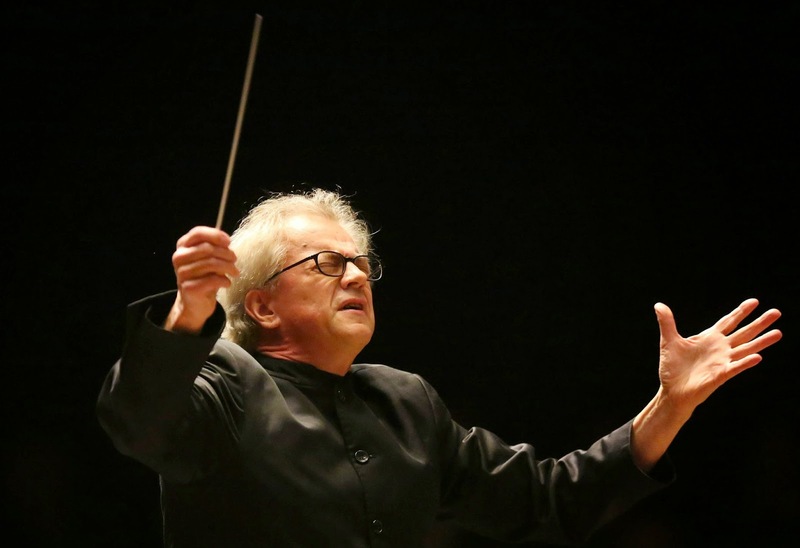 With the current Munich chief conductor Lorin Maazel sidelined due to illness, Fabio Luisi was called in as a replacement. It's Valery Gergiev, swooping into Carnegie Hall. 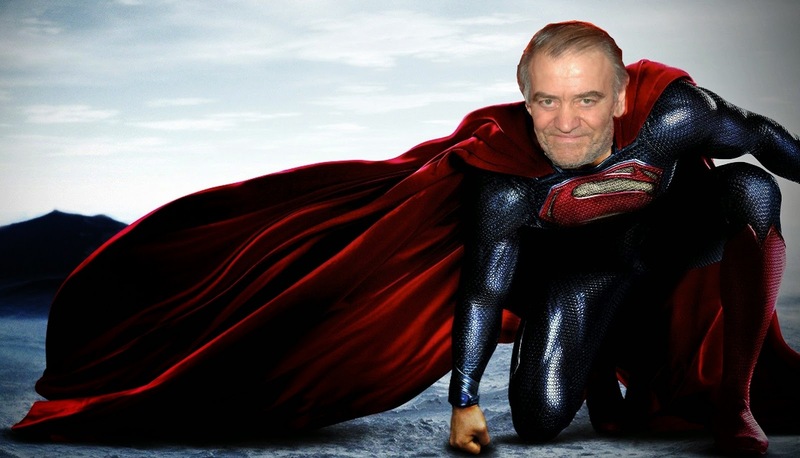 Valery Gergiev saves the day. Original photo element of Mr. Gergiev © 2014 by photographer David Shankbone. Image of Henry Cavill as Superman from the 2013 Warner Brothers film Man of Steel. © 2013 Warner Brothers Pictures. 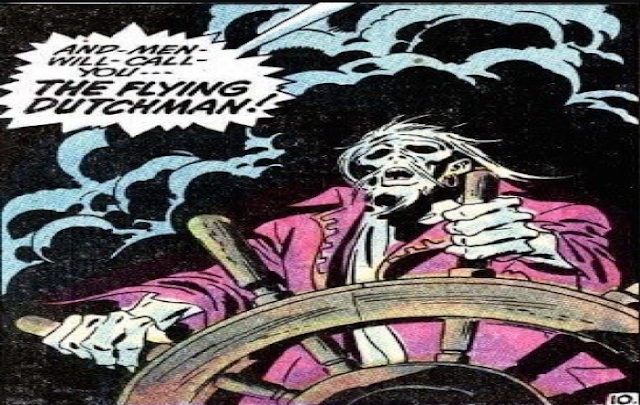 Character of "Superman" © Detective Comics. The life of a jet-setting conductor is sometimes like that of a comic book hero, called in as a last minute emergency stopgap to rescue an orchestra in distress. That was the case this week at Carnegie Hall, where Valery Gergiev and Fabio Luisi were called in as eleventh-hour replacements for Munich Philharmonic chief conductor Lorin Maazel in a pair of scheduled concerts. Mr. Gergiev (who is scheduled to take over for Mr. Maazel in Munich next year) stepped off a plane at 11am Friday and conducted an orchestra rehearsal earlier that afternoon. On Friday night, he conducted the Munich Philharmonic in three works by Richard Strauss, a native of that city and a composer whose 150th birthday is being celebrated this year. The program featured two of Strauss' most successful tone poems: Also Sprach Zarathustra and Till Eulenspiegels lustige Streiche, flanking the Burleske a one-movement piano concerto that is only occasionally performed. Pianist Paul Lewis makes his Philharmonic debut. When the New York Philharmonic programs a Brahms concerto (the No. 1) and a Schumann symphony (the No. 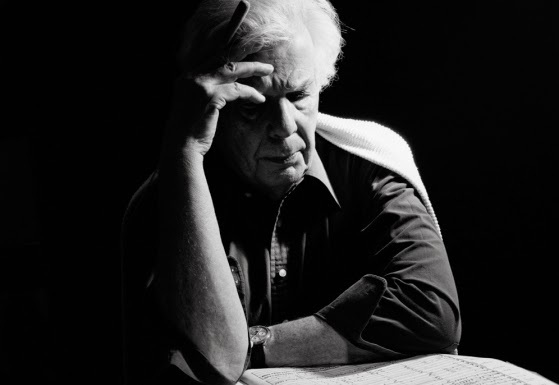 2) under the baton of the venerable Christoph von Dohnányi, the expectation is for a convivial, slightly stuffy evening of high-toned "classical" music with none of the atonality and modernism that has jarred conservative listeners for the last 100 years. However, last night's performance was full of surprises. J & R Music World Shuts its Doors. Last year on Superconductor I ran a story about the dwindling list of brick-and-mortar stores left in New York to buy classical music on CD. Yesterday, we lost another one. J & R Music (and Computer) World, which started as a basement record story and evolved into a block-long multi-story music and electronics emporium selling everything from blenders to MacBook Pros has shuttered its doors as of Wednesday. 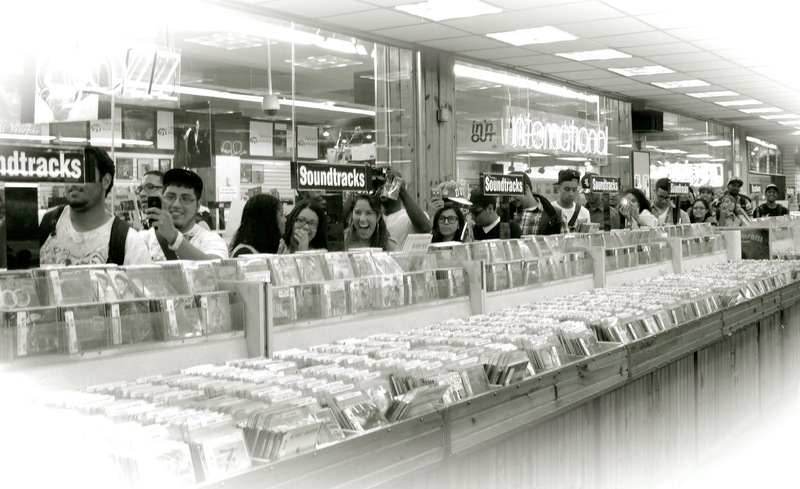 They join a long list of closed music retailers: Virgin MegaStore, Tower Records, HMV and Sam Goody to name just a few. The American Composers Orchestra ends its subscription season with Border Vanguards. the singer Luciana Souza (center.) Art © 2014 American Composers Orchestra. The American Composers Orchestra is dedicated to the performance of modern music. Under the leadership of former New York City Opera music director George Manahan it remains a crack collection of players who conduct fearless exploration of fresh musical terrain. 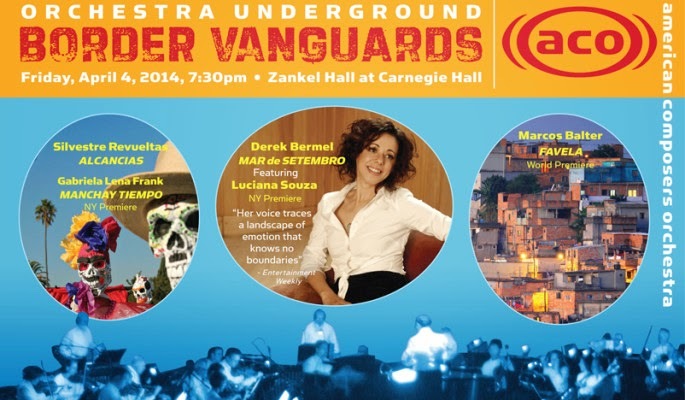 Last Friday night, the ensemble ended its 2013-14 Orchestra Underground subscription series at Carnegie Hall's downstairs performance space Zankel Hall with Border Vanguards The program explored music from five composers. With two rarities and three premieres, this was an exciting evening laced with exotic sounds and rare percussion instruments. 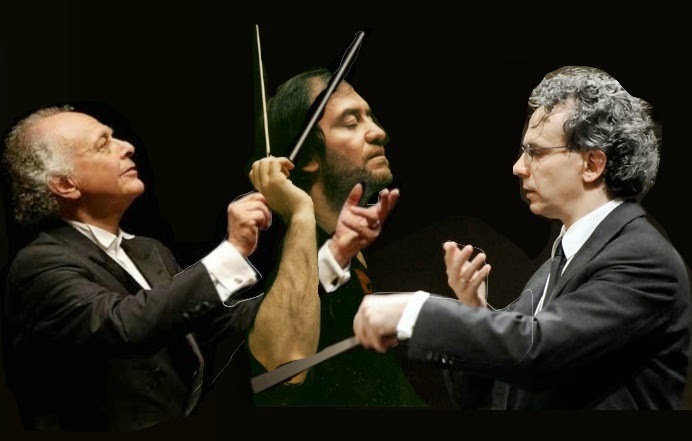 Fabio Luisi and Valery Gergiev step in with the Munich Philharmonic. conduct major Strauss tone poems with the Munich Philharmonic at Carnegie Hall. 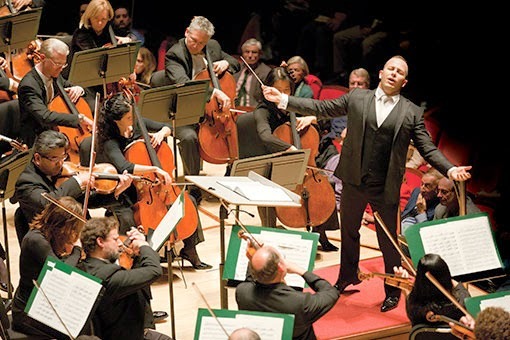 Photo of Mr. Maazel from his website. Photo of Mr. Luisi © 2014 Opernhaus Zurich. Photo of Mr. Gergiev by Laura Luostarinen © 2006 the Polar Music Awards. Photo alteration by the author. New Yorkers have lost their chance to hear Lorin Maazel conduct major works by Richard Strauss this weekend. 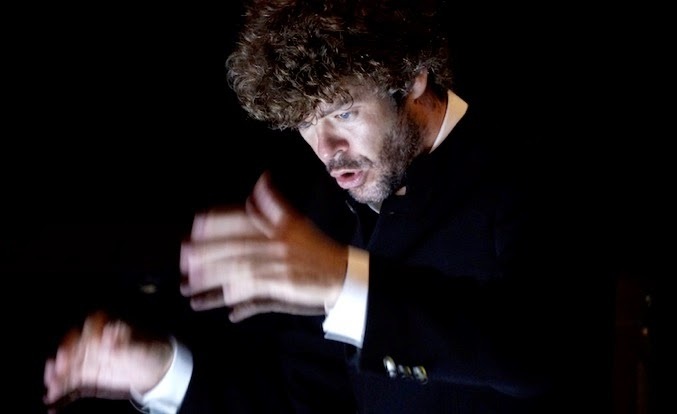 Pablo Heras-Casado debuts with the Philharmonic. The New York Philharmonic continued its current run of successful guest conductors last week with the arrival of Pablo Heras-Casado. Now 36, Mr. Heras-Casado is currently serving as Principal Conductor of the neighboring Orchestra of St. Luke's. On Friday morning, the conductor led the third concert in this week's program. The slate of works played to this orchestra's considerable strengths, with three tonal masterworks drawn from the troubled middle years of the 20th century. 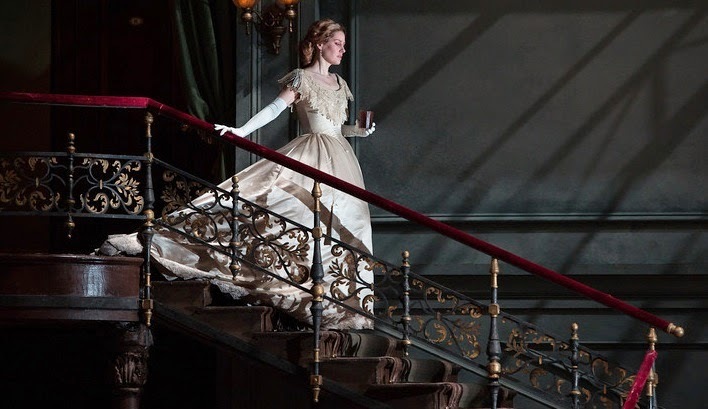 The Met revives Richard Strauss' nostalgic Arabella. Half empty, or half full? Malin Byström in Arabella. Richard Strauss' Arabella is a girl with a bad reputation. This is the last of the composer's collaborations with his favorite librettist Hugo von Hoffmannsthal. Arabella was planned to be a second raid on the mix of romantic comedy and Viennese nostalgia that made Der Rosenkavalier the duo's biggest success. Hoffmansthal died leaving only Act I as a finished work. (Strauss worked from his drafts of the second and third acts.) When Arabella premiered (in 1934) the Great Depression was still on. The Nazis were in power. The opera, a sentimental love story set around a grand evening out in Vienna, was destined to join the ranks of Strauss' lesser stage works. The NJSO takes on the Verdi Requiem. 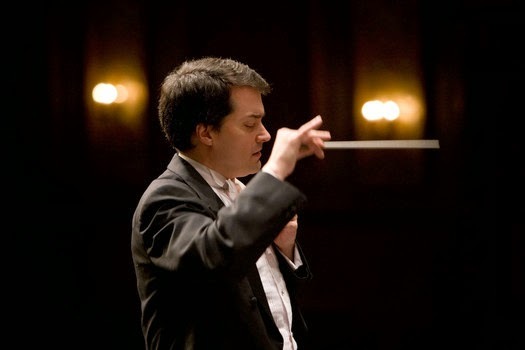 Hanging in the balance: conductor Jacques Lacombe. Photo by Philippe Champoux for Colbert Artists. Great things can happen in Newark. On Thursday afternoon, the New Jersey Symphony Orchestra and the Montclair State University Chorale tested that maxim with an ambitious program: playing the Verdi Requiem at a matinee audience mainly comprised of senior citizens bussed to the New Jersey Performing Arts Center from various retirement communities around the state. The concert, conducted by NJSO Music Director Jacques Lacombe was the first of three performances of this mighty choral work, a composition that saw the famed Italian opera composer branching out into sacred choral music. Javier Cammarena will sing in La Cenerentola. In a story that broke late Thursday afternoon, the Metropolitan Opera announced that star mezzo-soprano Joyce DiDonato will split her attentions between two bel canto tenors in the company's forthcoming revival of Rossini's La Cenerentola. Composer Vivian Fung discusses her new Harp Concerto. Composer Vivian Fung. Courtesy Metropolis Ensemble/BuckleSweet Media. "I wanted get away from the traditional harp sound and to see what the harp is capable of. It's capable of such a variety of color and it doesn't get expressed as much." The speaker is composer Vivian Fung. Her Harp Concerto is a feature of Cymbeline, two concerts to be given by the Metropolis Ensemble at the downtown performance space Le Poisson Rouge. This concerto, which throws the spotlight on an instrument usually relegated to the roles of color or accompaniment, will feature soloist Bridget Kibbey. Les Arts Florissants revives Rameau's Platée. 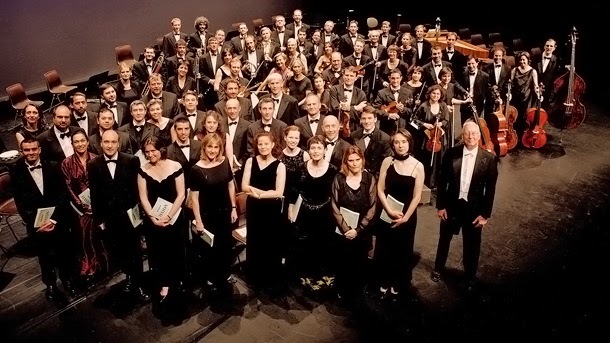 Les Arts Florissants. That's William Christie in the lower right. Photo by Guy Vivien © 2013 Erato Records. On Wednesday night, William Christie's period performance ensemble Les Arts Florissants returned to Lincoln Center. The occasion: a concert performance of Platée, the astonishing comédie lyrique by Jean-Philippe Rameau that marks the birth of comic opera in France. The year was 1745. Written for the comic sensibilities of the court of Louis XV, the comedy in Platée is both hilarious and somewhat repellent. It is the story of the god Jupiter, who dallies with the hideously ugly swamp-dwelling nymph Platée in order to convince his jealous wife Juno that he is actually faithful. In the end, Platée is spurned and outraged, laughed at by the assembled cast and chorus. The French Institute: Alliance Français screens Patrice Chéreau's Elektra. 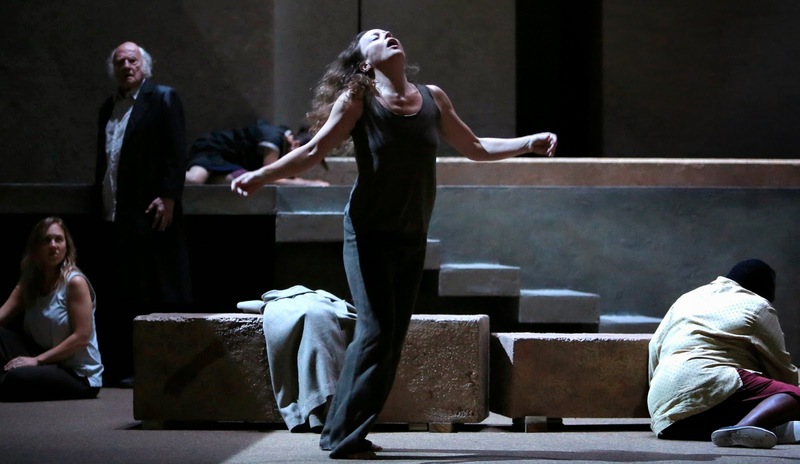 Elektra (Evelyn Herlitzus) in her final dance from Patrice Chéreau's production at Aix-en-Provence. Photo by Pascal Victor © 2013 ArtcomArt. Patrice Chéreau was one of the most important theater and opera directors of the last half-century. On Tuesday night the French Institute: Alliance Français celebrated the auteur's memory with screenings of his 2013 production of Elektra from the Aix-en-Provence festival. This setting of Richard Strauss' Greek tragedy was Mr. Chéreau's last project before his death in October of last year. The screening was prefaced by a brief panel featuring production designer Richard Peduzzi and Met general manager Peter Gelb: the impresario is planning on bringing this show to New York in October of 2015. New komischebuchoper to premiere in 2019 at the Gotham Grand Opera. Die Rache von der Fledermausmensch. Photo of Ildar Abdrazakov by Dario Acosta © 2014. Background image from Mortal Kombat vs. DC Universe, image © Midway Entertainment. Batman, BatSignal and Batman Mask all © Detective Comics/Warner Brothers Entertainment. A childhood trauma. A gritty urban landscape. A bloody revenge. All these elements will come together in the Gotham Grand Opera's newest project: an operatic pastiche based on one of the greatest popular myths in modern American culture. 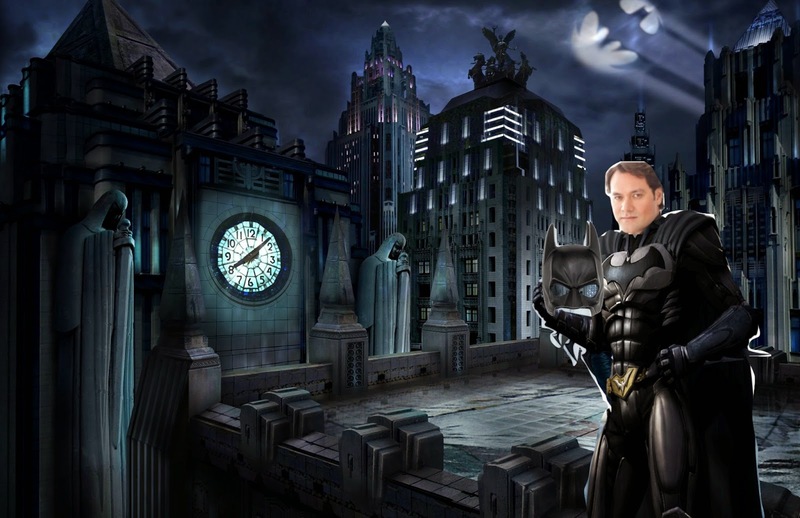 The opera, titled Die Rache von der Fledermausmensch is being staged in collaboration with Detective Comics and Warner Brothers, and marks a new level of cinematic opera entertainment, the komischebuchoper.